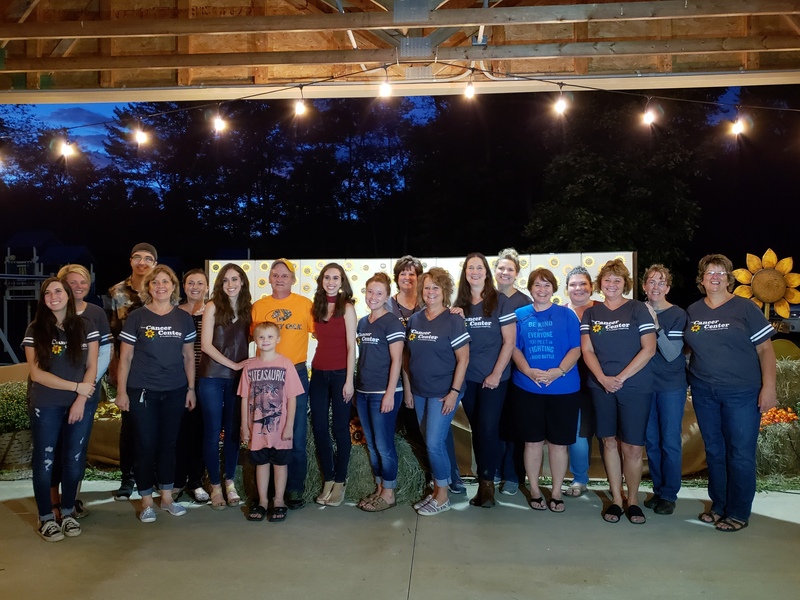 CLARION, Pa. (EYT) – Clarion Cancer Center celebrated its 15 year anniversary during its annual Light Up Night on Thursday, September 13. 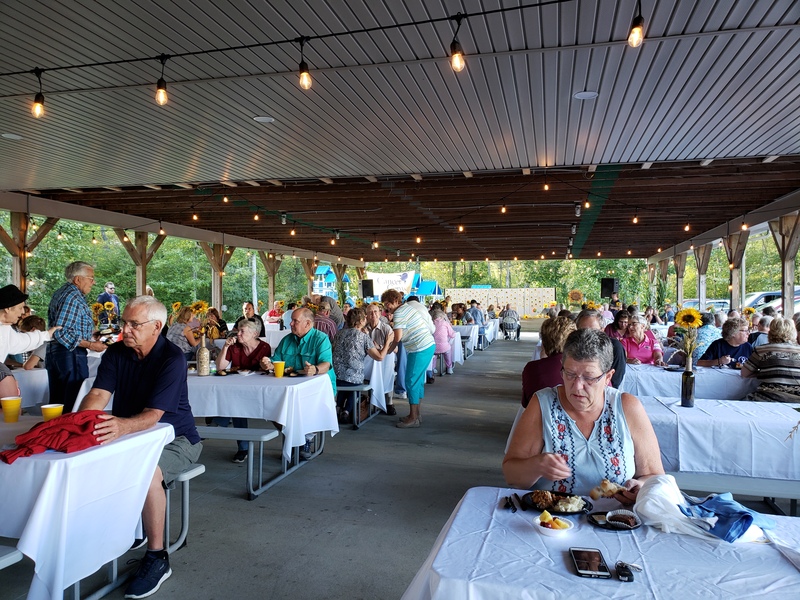 According to Tracy Myers, Cancer Center Manager, there were an estimated 275 people in attendance on Thursday evening as the cancer center brought survivors and families together to celebrate their 15th anniversary. 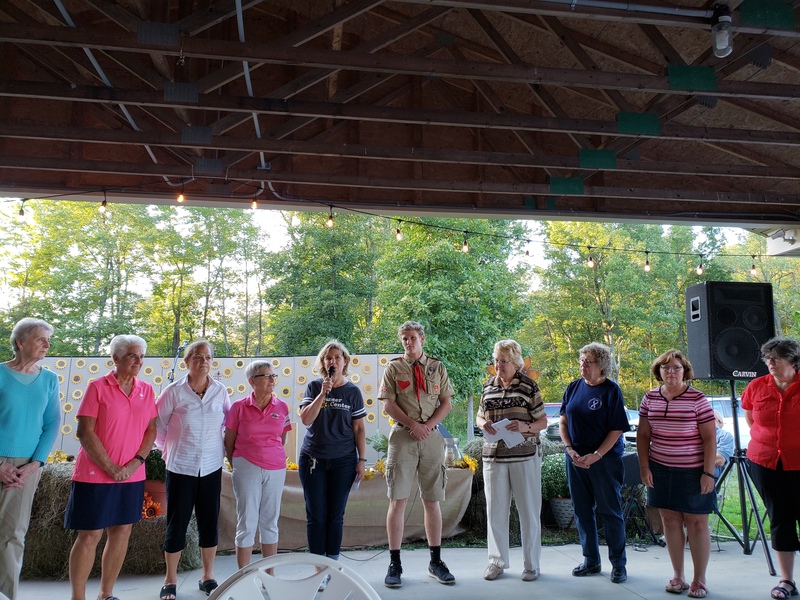 The event was held at the Clarion Eagles pavilion; the Eagles donated the space to the cancer center for the evening. 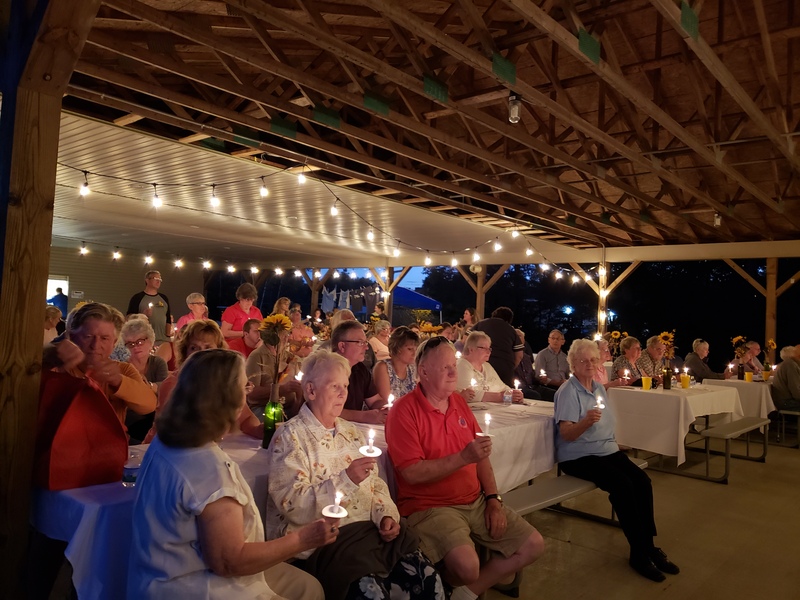 The many survivors and family members in attendance varied greatly, some arriving alone, some with entire families in attendance, and many people mingling, catching up with those they met during treatment. Madelon Callen, a Clarion resident and cancer survivor, said she has been attending the event for at least six or seven years. “It’s really nice for the cancer patients to get together, talk about what they’ve been through and everything, and it’s good to see everybody, just all the faces I remember that were taking chemo when I was,” Callen said. Callen, who has been in remission for about eight years, is also one of the members of the Clarion Oaks Ladies’ Golf League. The league holds an auction every other year to raise money for the cancer center. “We raise money for the cancer center to use whatever way they want to: for travel expenses for the cancer patients or whatever they need,” she said. Light Up Night began with survivors and families joining together for a buffet-style dinner, provided by Chef Dennis Snyder and the staff of Water Run Landing. Upon arrival, all survivors in attendance were entered into drawings for a number of gift baskets and also offered a free Clarion Cancer Center t-shirt. There was also a free photo booth, provided by Identity Studio, for survivors and their families to create a special memento of the event. The main portion of the program for the evening opened with a benediction and prayer of thanks offered by Linda McHenry, followed by a touching tribute to the cancer patients and survivors by the staff of the Clarion Cancer Center. For “15 Reasons Why,” cancer center staff members were asked to each write down what they find rewarding about working with cancer patients. The answers varied, but many touched on similar themes of strength, perseverance, courage, and hope. “15 Ways” highlighted the ways in which the local community supports the cancer center. “We have something amazing here. We’re the ninth poorest county in the state of Pennsylvania, and the generosity that comes from this community is just unbelievable. Not only did this community bring the cancer center, and donate to bring in the cancer center to Clarion Hospital, they donated a second time to bring back our radiation equipment when we lost it four years ago. That says something,” Myers said. One of the organizations highlighted during this portion of the evening was the Clarion County Career Center. Myers asked Linda Skelley, Clarion County Career Center Secretary, to speak about the money they’ve raised. “The career center has between 300 and 350 students from the seven school districts in Clarion County. About seven years ago we decided, because we had a cancer survivor as a staff member, to try to collect money to donate to the cancer center in her honor,” Skelley said. 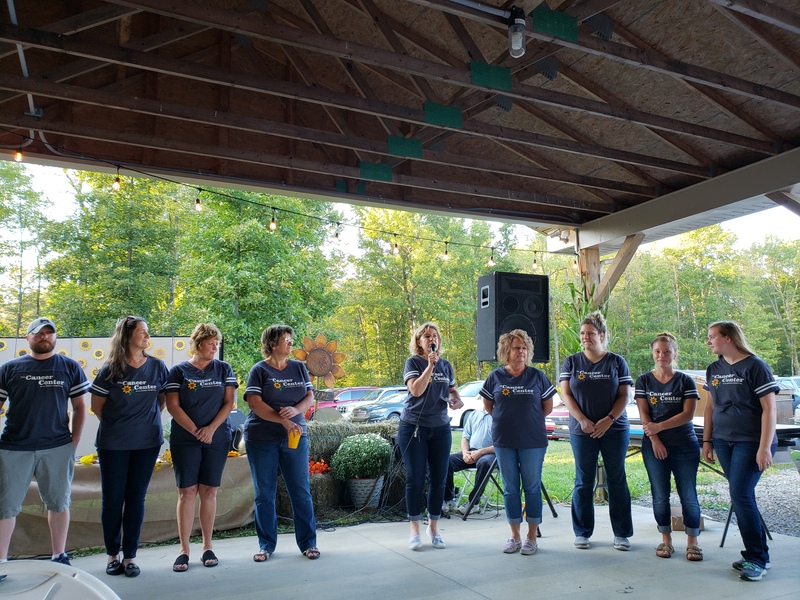 The Clarion Sunshine Project, a nonprofit foundation dedicated to helping Oncology and Hematology patients of Clarion Hospital, was also highlighted during the program. “I’ve been associated with some of the efforts that we have been able to make to help cancer patients with the financial aspect of their treatments, and I had an up close and personal view of how people stepped up inside the cancer center: the nurses and the administrative staff,” Clarion Sunshine Project board member Ray McGunigle said. “These are people who work a very tough, long day, go home, take care of their families, and spend their free time figuring out how they can help patients in other ways, with the financial impact of this terrible disease. In that process, Tracy and her colleagues said ‘we can do more’ and they got together and organized a non-profit organization to raise funds in the community. I’m very proud to have been part of that. It just reinforces my whole view of our nurses as my personal heroes, and I’m honored and pleased to be a part of that project,” he said. Myers also recognized another organization while also sharing the details of a major upcoming project at the center. She introduced Isaac Jones, a young man who wanted to do something for the patients at the center for his Eagle Scout Project. “We talked about a couple of ideas, and he decided he would like to build a pavilion behind our sitting gardens,” Myers said. Once he had the plans firmly in place, Jones just needed some financial support for the project, which was where the Clarion Oaks Ladies’ Golf League stepped in. The $7,000.00 they raised in their charitable auction for the cancer center this year will be used for Jones’ project. “We’re very excited about this. It will be something that not only can the cancer patients and their families use, but our rehab patients and visitors will be able to use it as well,” Myers noted. Another major presentation was made by Jim Hinderliter, who served as the state president for the Fraternal Order of Eagles Pennsylvania State Aerie last year, and Membership Chairman Rick Clinger. “Rick and I traveled the state all year visiting different areas, raising money for our charity which was cancer. We did really well, but the last two months, Rick couldn’t go with me because he had cancer,” Hinderliter said. “This is from the whole state, not just our Aeries here, and we really worked hard to get it,” he continued. 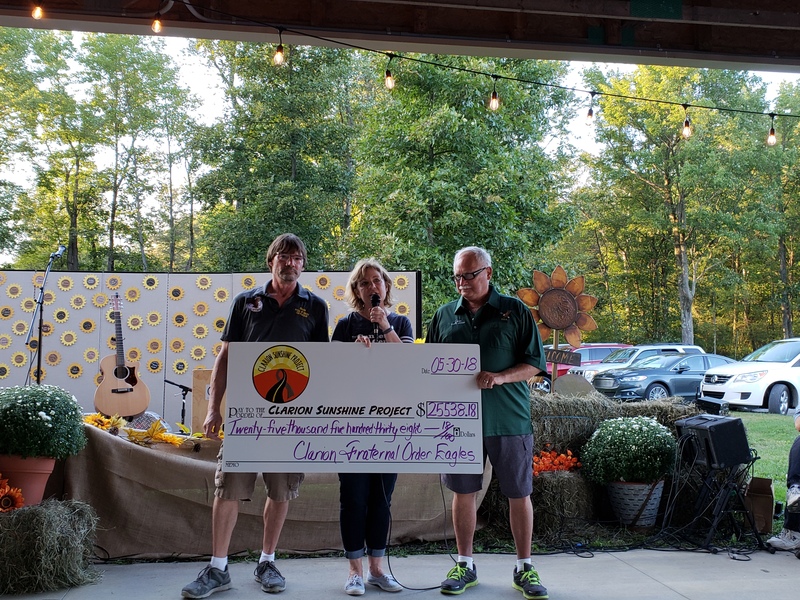 The Fraternal Order of Eagles presented the Sunshine Project with a check for $25,538.18 to help patients pay bills that their insurance doesn’t cover. “I’m so grateful they chose the Clarion Cancer Center. We will do so much good with this money,” Myers said. 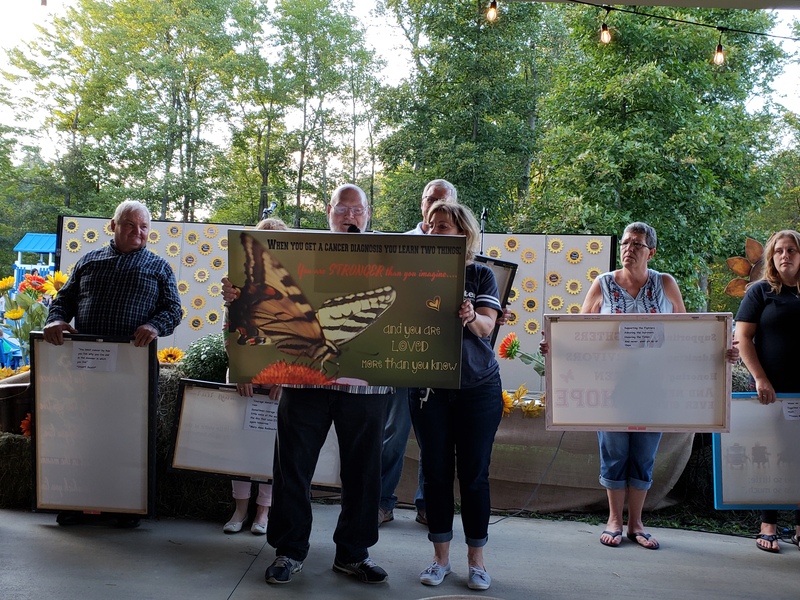 Some of the other organizations and charitable events recognized for their volunteer activities and donations were Clarion University, Hoops for Hope, Clarion Civic Club, Clarion County Garden Club, Clarion Rod and Gun Club, the American Legion, and the Knox Mrs. Santa Club. The third part of Myers’ program, “15 Inspirational Quotes,” focused on a project to add some inspirational decorations to the cancer center, designed by Mary Rearick, which were unveiled with the help of some of the survivors at the event. 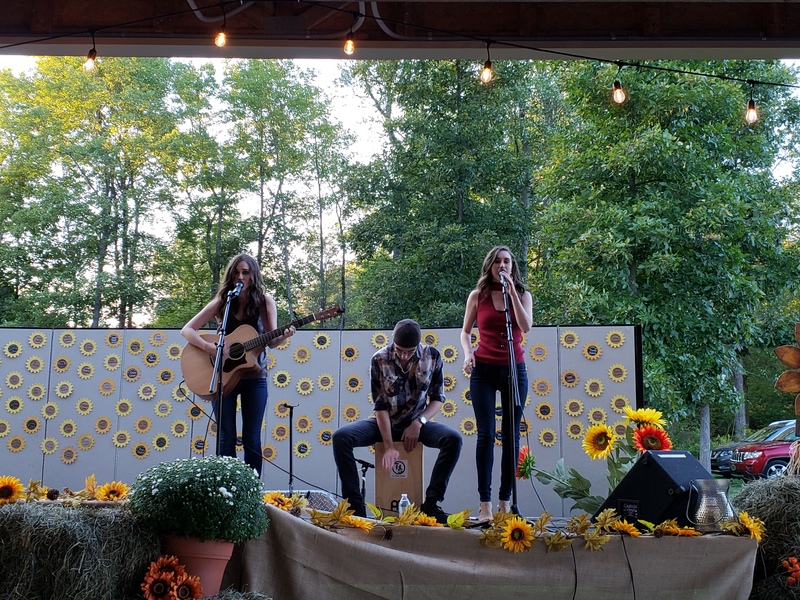 Following the presentations, the Hobbs Sisters, a singing duo originally from Pittsburgh and currently based in Nashville, stepped up to bring their special brand of harmonic music to those in attendance. The program concluded with the candlelight ceremony, during which the Hobbs Sisters led the crowd in singing Amazing Grace. At the end of the ceremony, the staff of the cancer center gathered together with the Hobbs Sisters to take a special photograph with Brian Butler and his grandson Coltin. According to Myers, Butler and his late wife, Lisa, who was a Clarion Cancer Center patient, had seen the Hobbs Sisters perform in Pittsburgh and first approached them about performing at the cancer center’s Light Up Night. Sadly, Lisa Butler didn’t see the fruition of their invitation; she passed away on June 25, 2018, but her husband and grandson attended to honor her memory.